Here’s a tip from Major Nelson from the Xbox team. If you ever wanted to know what you or any of your friends are wearing and want to see their avatar (animated, of course), you can go to http://live.xbox.com/en-US/Profile?gamertag=GAMERTAG. 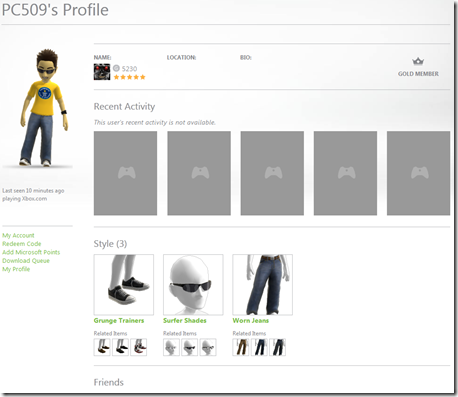 Replace the GAMERTAG with your friends real gamertag and see what they’ve been up to, what they look like, and what they are wearing. Next post: Will Microsoft Listen to Consumers Backlash?